Experience the power and drama of America's struggle for independence, liberty and self-government. 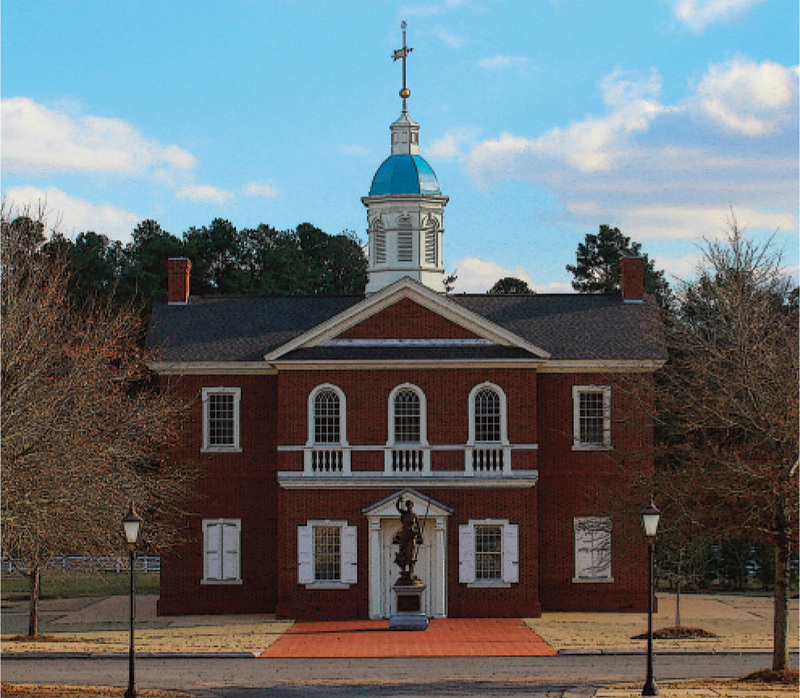 Step back in history to the time of the American Revolution. Visit with patriots who helped frame what America is today. See the American Village at work as we engage and inspire youth and adults alike to know American history, cherish the ideals of liberty and serve our country as good citizens and leaders. The National Veterans Shrine is patterned after Philadelphia's Carpenters Hall. The Shrine honors our veterans' service and sacrifice for America and its freedom. It features major sculpture and paintings by nationally-renowned artists. Interactive media, artifacts and exhibits will help answer the questions: "Who are our country's veterans?" "What did they do for our country?" and "What do we owe them?" Housed within the Shrine is the Veterans Register of Honor, a website and database containing photographs, biographical sketches, and stories of America's veterans and active members of the United States Armed Forces. 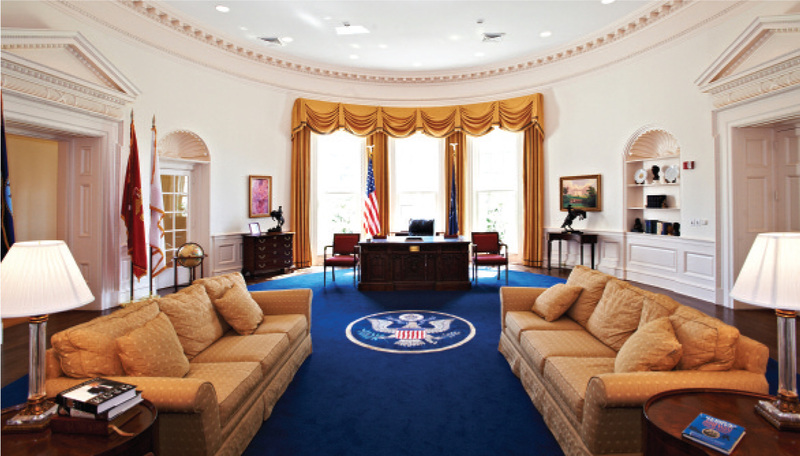 The American Village Oval Office is the only full-scale replica in the country fully accessible to public and school visitors. 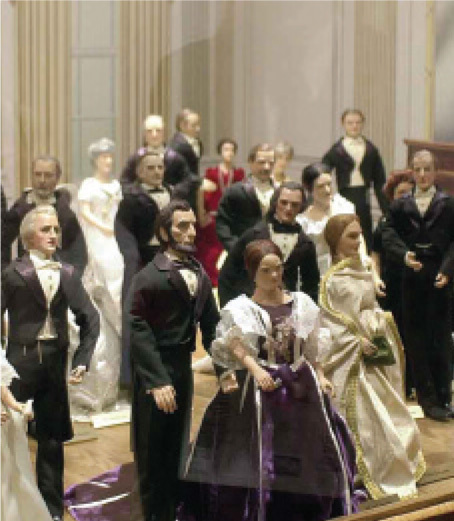 Dioramas depicting significantevents in American history, as well as figures of all the American Presidents and First Ladies are presented in miniature. Enlist in George Washington’s Continental Army and march, shoulder to shoulder, towards America’s independence. You could meet George Washinton, Martha Washington, Patrick Henry, Abigail Adams, Lucy Knox, Phillis Wheatley, Thomas Jefferson, or other famous Americans! The year is 1775 and the American colonists have had enough of the new British taxes. Protest against these measures and let the tax collector know just how you feel. Have you ever tried to roll a hoop? Do you think you can hit the trap ball? The Colonial Games Players are ready to teach you! Soldiers in the Continental Army often had forces working against them that were even more frightening than the redcoats. Matron Sarah Ray will explain the “cutting edge” medical practices of the day.